Ever since I stumbled upon Worley's Lighting shop based in Charlotte, NC, I've been a fan. Artist, Shelli Worley creates some creative and illuminating table lamps that I have a feeling you'll want for your own bedroom or office. 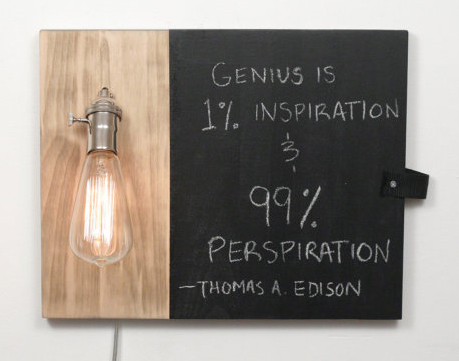 Shelli is a fan of the edison bulb and many of her creations are built around this well designed light source. 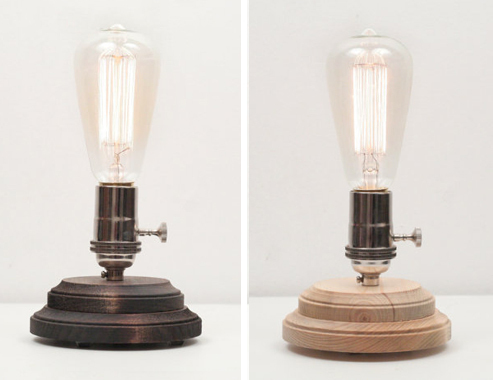 She offers the pedestal lamp in dark walnut, oak and gray. I love her glass hurricane lamps (pendant or table option), which in most design shops would cost in the hundreds. Shelli sells them for under $70. 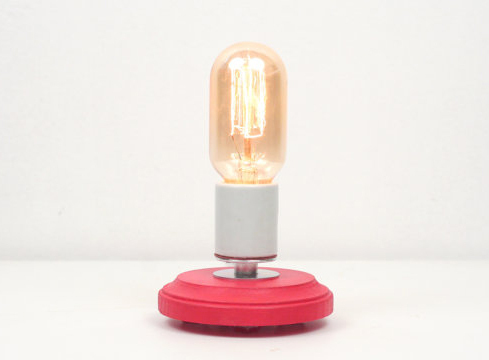 I like her small modern desk lamps which come in four colors, including a bright cherry red. These would look great in just about any room and as Shelli shares, "they make a great night light." Add a dimmer here. What would a Southern blog be like if I didn't mention mason jars at least once a week? 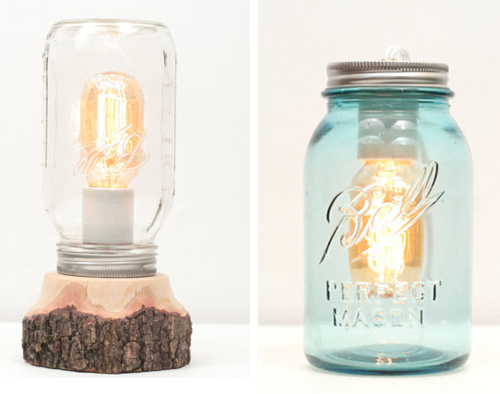 Shelli offers these mason lights in both the pendant and desk lamp option and with either a vintage clear glass or blue glass. Every time I check Shelli's site, she has something new and fun on there, like this chalkboard lamp or these tree branch candle holders. 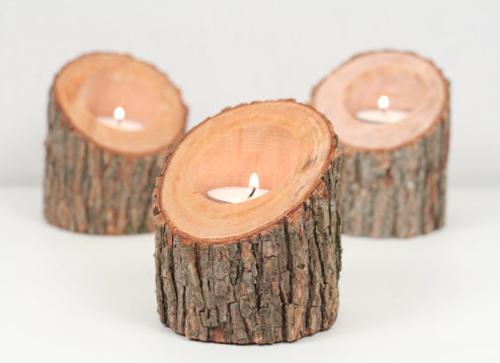 The candles are great for a rustic setting or your everyday porch party as they have a warm tone to them. Once lit, they will make your space super cozy and inviting. See tall and small options here.